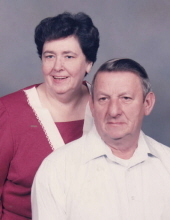 Joan H. Francis, age 79, of Hazard, KY passed away on March 30, 2019 at the Hazard Medical Center. Joan worked at the Perry County Clerk Office for over 30 years and retired from Austin Powder Company. She was a member of Willow Fern Baptist Church and loved spending time reading or cross stitch. She was born on September 10, 1939 to the late Elva "Slim" Hollon and the late Evalee Tincher Hollon. She is also preceded in death by her husband: Willie Edgar Francis; one sister: Lucille Harrison and one granddaughter: Kayla Lauren Elizabeth Francis. She is survived by one daughter: Jamie Haynes (Chris) of Hazard, KY; three sons: Kenneth Ray Francis (Mindy) of Hazard, KY, Tim Francis (Cindy) of Hazard, KY & Lee Francis (Becki) of Hazard, KY; one sister: Sylvia Dawson of Arizona; eight grandchildren: Kendra, Michael, J.T., Kennedy, Connor, Thai-Lee, Chance & Raegan; eight great grandchildren; special friend: Tiney Cosimini and a host of family & friends. To send flowers or a remembrance gift to the family of Joan H. Francis, please visit our Tribute Store. "Email Address" would like to share the life celebration of Joan H. Francis. Click on the "link" to go to share a favorite memory or leave a condolence message for the family.